As trucking fleets prepare for the availability of all-electric, plug-in Class 8 tractors, they are evaluating existing power capabilities at terminal locations and working through what’s needed for charging infrastructure to support these vehicles. Both UPS Inc. and Ryder System Inc. are working with Tesla Inc. to develop charging infrastructure to support the tractors that the fleets have preordered. Tesla has said its all-electric tractors will be available in 2019. UPS, which has preordered 125 tractors from Tesla, is undertaking site surveys to determine where it will place charging infrastructure. 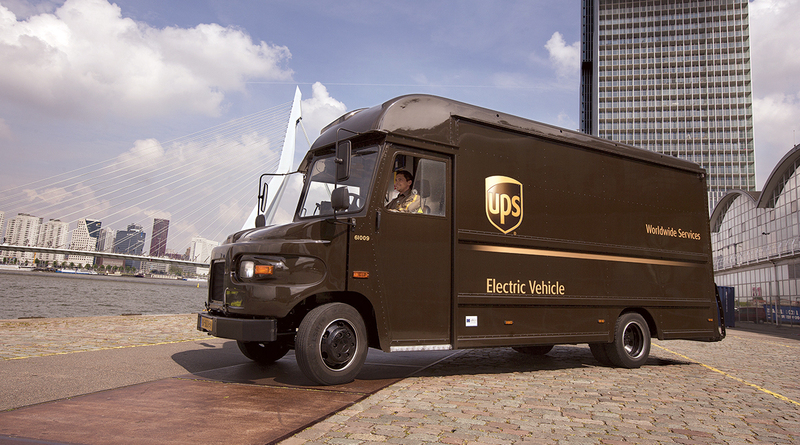 “That will tell us the amount of charge capability we have without adding additional infrastructure,” said Rick Jordan, UPS automotive senior director of maintenance and engineering for delivery fleet. “One of the hills to climb when we are deploying electric vehicles is to plan out and install the infrastructure for the number of vehicles you’re wanting to run out of each building,” he said. Ryder has preordered trucks from Tesla, but has not specified how many. “We have identified some of our locations that have those kinds of capabilities, but I think there will be some significant investment and work with utility companies that will be required,” Nordh said. Other industry experts agreed that the electric power supply will be a significant consideration for fleets interested in electric-powered trucks. “Charging up commercial vehicles with large battery packs will require a tremendous amount of power and support from local utilities,” said Andreas Juretzka, director of e-mobility at Daimler Trucks North America. In Europe, Daimler is testing its Urban eTruck, an all-electric vehicle designed for inner-city distribution. The manufacturer also has signaled its intention to bring an electric Freightliner Cascadia model to the North American market, but has acknowledged hurdles related to vehicle range, charging time, payload and battery life. Other truck makers also are moving to offer electric vehicle options. 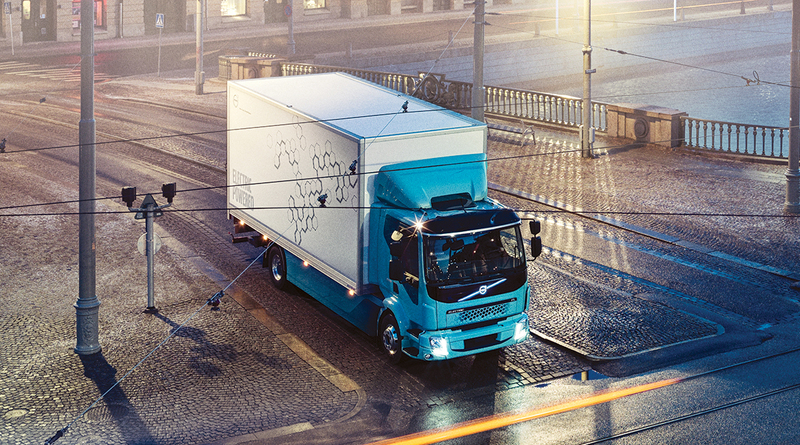 In April, Volvo Trucks introduced its first all-electric commercial truck, the FL Electric model, which the company plans to launch in Europe in 2019. Late last year, Navistar Inc. announced it will launch Classes 6-7 trucks with an electric powertrain in late 2019 or early 2020. Jack Legler, technical director for American Trucking Associations’ Technology & Maintenance Council, said existing locations have a set capacity for how much electricity is available via the existing infrastructure. Fleets may need to make significant upgrades to their electrical panels and the actual power lines from the poles, he said. PepsiCo Inc., meanwhile, has reserved 100 Tesla electric tractors. Many considerations are associated with installing charging infrastructure, including power demand, total energy required, physical electrical transmission and distribution infrastructure providing the power to the fa­cility, cost of energy and power demand, demand response, emergency backup, load management and reliability, said Mike O’Connell, vice president of fleet sustainability for PepsiCo. The company is eager to support the development of charging infrastructure, but discussions on infrastructure “are all very preliminary,” O’Connell said. PepsiCo ranks No. 1 on the Transport Topics Top 100 list of the largest private carriers in North America. Ryder’s Nordh said costs increase as fleets add scale to their electric infrastructure, which is completely opposite of scaling with diesel vehicles. Costs escalate, for example, when adding charging for five to 10 vehicles to parking lots. “Now you’re trenching electrical conduit under the pavement, you need a new electrical panel, perhaps, and, as you scale, you have to go to the utility company and they have to upgrade their equipment,” Nordh said. 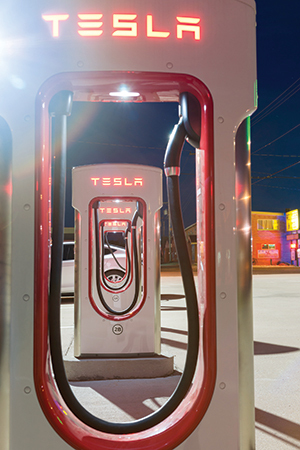 Tesla has dedicated resources to help fleets work with utilities as they build out charging infrastructure, Nordh added. Fleets also may need to deal with zoning issues, depending on the upgrades, and may have to consider a substation depending on how many vehicles they want to charge at once, Legler said. As part of its research, UPS is working to strike a balance between charge time and drive time and is evaluating fast-charge and slow-charge options. Currently, UPS believes it will take about eight hours to fully charge a tractor. Faster-charging stations get trucks back on the road faster, but can draw more power and generate more heat, which could wear the batteries out faster, Jordan said. “That is something the manufacturers will need to wrestle with as the battery technology evolves and can be mitigated with different types of heating and cooling systems,” he said. Legler said Tesla has stated that a fast charge will be complete in an hour. Tesla did not return a request for comment. Another obstacle for fleets will be managing charge cycles so they don’t incur peak demand charges, DTNA’s Juretzka said. FedEx Corp. envisions using the Class 8 tractors it has pre­ordered from Tesla in both regional linehaul and pickup and delivery applications, said Rae Lyn Rushing, a spokeswoman for FedEx, which ranks No. 2 on the TT Top 100 list of for-hire carriers in North America. Its FedEx Freight business will evaluate the real-world performance of the trucks over a two-year period, looking at both the range and stop-and-go performance. “Determining battery life and operating range in FedEx Freight’s duty cycle will be a key outcome of the evaluation,” Rushing said, adding that the company will install charging infrastructure at the locations where trucks are domiciled. Even companies that haven’t traditionally invested in electric vehicles are investigating Tesla’s offerings. Electric trucks are not a significant part of Walmart Inc.’s active fleet network, but the company has preordered Tesla’s heavy-­duty truck. “Getting involved at the developmental stage with the tractor manufacturers will help us understand what works best for us and if this technology can help us achieve our sustainability goals,” said Micah Ragland, director for sustainability communications at Walmart, which ranks No. 3 on the TT Top 100 list of private carriers. James Sembrot, senior director of logistics strategy at Anheuser-Busch, said the company is working to make its supply chain more sustainable and efficient. “Our recent investment in Tesla semi-trucks, which we announced late last year, helps us achieve these goals while improving road safety and lowering our environmental impact,” he said. Anheuser-Busch ranks No. 50 on the TT Top 100 list of private carriers. 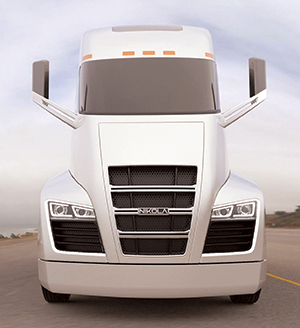 In addition to investing in Tesla vehicles, Ryder has ordered hydrogen-­electric Class 8 tractors from Nikola Motor Co. that can fuel in about 20 minutes. An advantage with Nikola is not having to build charging infrastructure, Nordh said. But that ultimately trades one set of challenges for another. “Now you have to build out a network of hydrogen fueling stations,” he said. Trevor Milton, CEO of Nikola, said the advantage of hydrogen is that fleets don’t have to build chargers or incur downtime on their assets. Nikola will build two hydrogen stations by the end of the year, and 14 in 2019, Milton said. Ryder doesn’t plan to install its own ­hydrogen-fueling infrastructure. Many of the fleets investing in heavy-duty electric trucks have gained experience from electric vehicles already in their fleets. PepsiCo operates electric box trucks and on-site charge stations. “As with any emerging tech­nology we have learned many things, including optimal route selection and how extreme climatic conditions affect driving range for these particular vehicles,” O’Connell said. 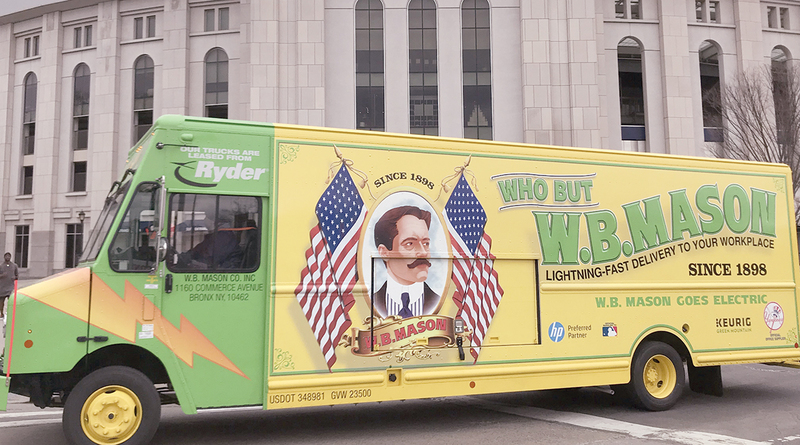 Ryder has electric commercial vans and box trucks within its fleets. Nordh said charging infrastructure maintenance has typically involved physical damage to the charging cord or receptacle. 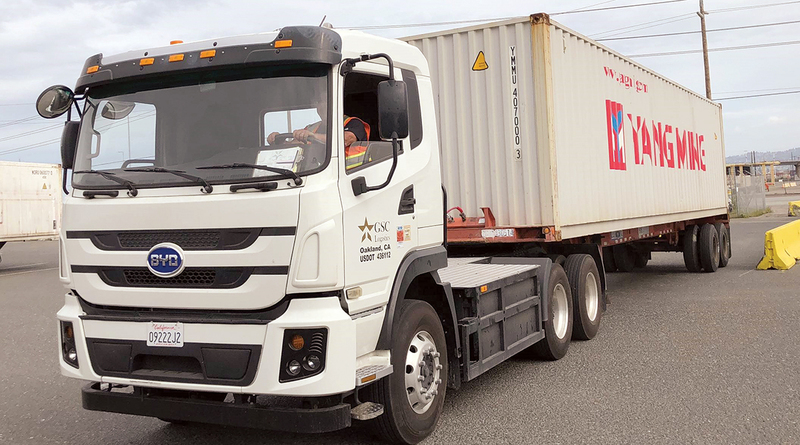 Oakland, Calif.-based GSC Logistics installed a charger in its yard at the Port of Oakland to charge a yard tractor from BYD, said Brandon Taylor, director of transportation at GSC Logistics. BYD offers an electric Class 8 with a 96-mile range, as well as electric yard trucks, forklifts and buses. When adding charging infrastructure, BYD works with its customers and the utility providers to understand the power supply. “We have to make sure they have the amperage and breakers available,” said John Gerra, BYD’s director of business development for the western region. BYD offers different ratings of chargers, and its trucks can fully charge in three hours or less, said Luke Zheng, an engineer at BYD, which has U.S. headquarters in Los Angeles. Taylor said GSC Logistics’ electric truck runs on one, eight-hour shift and charges overnight, but so far the battery hasn’t drained to below 20%. Electric Class 8 yard tractors are a good starting point for many fleets, said Mike Saxton, chief commercial officer for Orange EV, which makes these types of trucks. Charging for yard trucks uses a lower voltage and lower amperage than will be needed for over-the-road tractors. Most Orange EV customers have enough power to use the existing panel or circuit box, but customers with more trucks may need to add electrical infrastructure. Orange EV charging stations typically can range from $1,000 to $7,000, as costs vary depending on the electrical capacity available at a location, Saxton said. While fully electric vehicles have gained a lot of attention, the technology is still evolving. Several components can be electrified, providing new solutions for pumps, power steering and air conditioning systems without having to be charged, said Craig Jacobs, director of new product introduction at Eaton eMobility. This allows truck manufacturers to do a few different things in designing their trucks, “but there is no charging in that type of system,” he said. What’s more, electrification of components gets manufacturers closer to a fully electric vehicle, Jacobs said. “Having all of the components operate electrically is critical to having a pure electric vehicle,” he said, adding that electrifying accessories makes the vehicle more efficient, whether it uses a diesel engine or is fully electric.